The 2030 Agenda for Sustainable Development is a plan of action for people, planet and prosperity. The scope covered by the 17 goals is unprecedented in history and carries an important vision for the positive transformation of life on the planet. It pledges to leave no one behind. To succeed, this massive development agenda will require that people everywhere understand and take ownership of the goals—translation and localisation of the agenda is essential. In May this year, the UN General Assembly officially declared 30 September, International Translation Day. The vote signals to the world the important role of translators in “bringing nations together, facilitating dialogue, understanding and cooperation, contributing to development and strengthening world peace and security.” The day, which has been informally celebrated since 1953, is now part of the UN calendar of International Days, offering broad recognition of the value and impact of translation to our multicultural fabric and global development agenda. 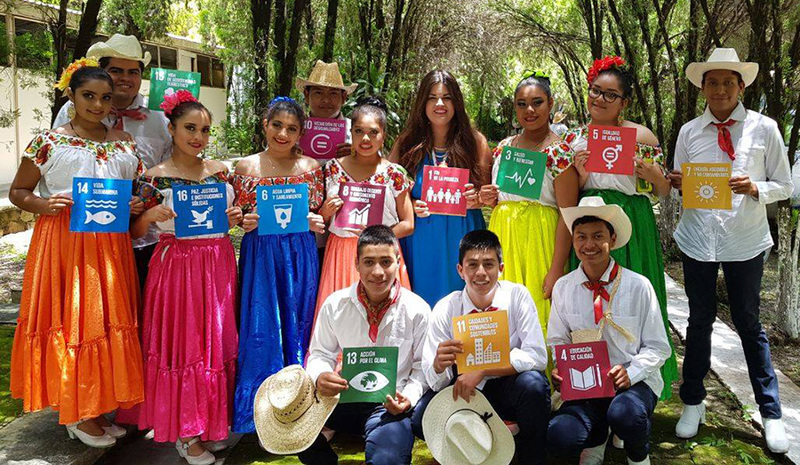 The translation of the Sustainable Development Goals (SDGs) to local languages may seem like an obvious step in localizing the global agenda, but reaching minority language groups is often overlooked and another way in which people are regularly left behind in their own national development. While it is often argued that translating materials into local languages is either too expensive or takes too much time, many development organisations, including UN agencies, use the UNV Online Volunteering service as a platform to advertise their translation needs and create opportunities to make development literature available to people around the world, in a growing variety of languages. The UNV Online Volunteering service has published more than 7,500 translation opportunities through its platform. Translation is one of the most popular contributions of UN Online Volunteers to the work of the UN and its partners, both in peace and development. Available to registered organizations, the service and its massive global pool of candidates matches available translators for the six official UN languages and countless national and regional languages. To date, UNV’s development partners have recruited UN Online Volunteer translators to adapt materials into 118 languages. The UN SDG Action Campaign, a special initiative of the Secretary-General to raise awareness and build citizen dialogue about the 2030 Agenda, is a great example of UNV’s many UN partners. Through their use of the UN Online Volunteering Service, they continue to expand the reach of SDG advocacy materials, such as the MY World 2030 Survey. The SDG Action Campaign works with organizations of all sizes and backgrounds from civil society to governmental institutions and countless volunteers to deliver the survey online and offline all around the globe. This current project builds on the success of the MY World 2015 Survey, where 200 UN Online Volunteers from 100 countries produced online and offline materials. Those online volunteers made it possible to reach “the most vulnerable and isolated communities,” explains Karol Alejandra Arámbula Carrillo from Mexico. A UN Online Volunteer for more than six years now, Karol leads MY World Mexico, a national campaign to promote the goals. She is currently advancing the commitment to leave no one behind by translating the MY World survey into 13 indigenous languages of Mexico. In 2015, Translators Without Borders presented the findings of an impact study on Ebola Information in Kenya to compare the level of comprehension of health-related information when presented in English or Swahili. Of the 100 people in each language group, those that received information in English got only 16% of the questions correct while the Swahili group performed much better, obtaining a score of 92%. The results of this study speak for themselves. Through the SDGs, we are witnessing international solidarity and national ownership of development on a scale that surpasses anything ever attempted. Translation and communication are at the heart of this transformative global agenda. The UN Online Volunteering service is available to every development organisation who is willing to take on the challenge of leaving no one behind. This article was drafted with the support of Laura Hildebrandt, UN SDG Action Campaign.